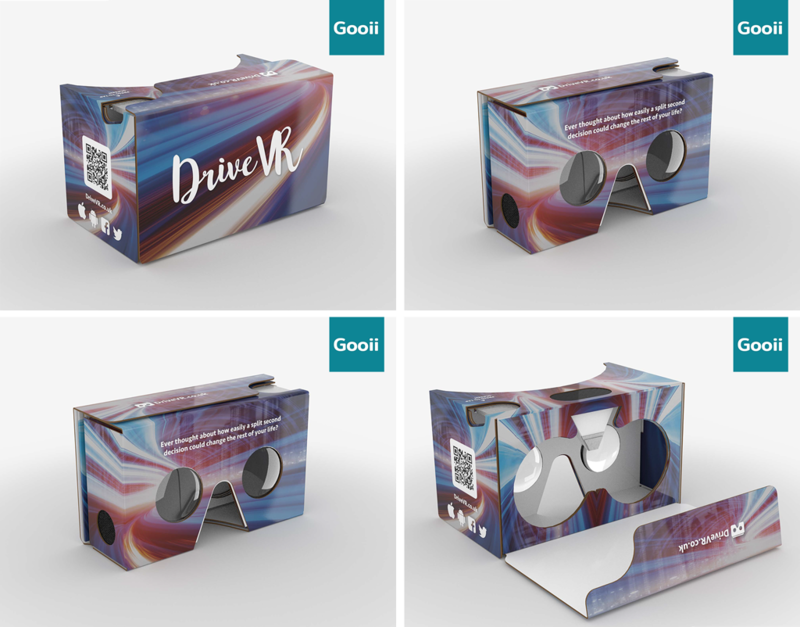 Amazing Google Cardboard VR headsets for our award winning app DriveVR. Many people who discuss VR or AR projects with us incorrectly assume you need expensive headsets. Yes you can purchase Oculus Rift that cost many hundreds of pounds. You can also buy SamsungGearVR that are significantly cheaper. If you are presenting your Virtual Reality or Augmented Reality product to groups of delegates, then why not consider Google Cardboard headsets? These are even better value alternatives and because of their price they can take these home with them after the event. One distinct advantage with these headsets, apart from the price point, are the possibilities of branding them with your corporate or app identity, like DriveVR. This option can reinforce your brand awareness long after the initial engagement has ended. It also ensures the delegates have an opportunity to share your product with friends and spread the word.